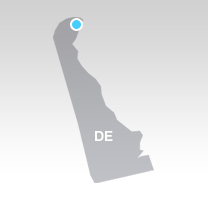 The directions to our office in Wilmington from the Philadelphia International Airport are outlined below. If you have any additional questions, please feel free to contact our office directly at the numbers listed on this page. Start out going Northeast on DEPARTING FLIGHTS toward PARKING A B C D E (0.6). DEPARTING FLIGHTS becomes AIRPORT EXIT/RETURN TO TERM/PARKING (0.1). AIRPORT EXIT/RETURN TO TERM/PARKING becomes AIRPORT EXIT/ECONOMY PARKING (<0.1 miles). Stay straight to go onto AIRPORT EXIT (<0.1 miles). AIRPORT EXIT becomes ramp (0.8 miles). Merge onto I-95 S (19.4 miles). Take the exit- exit number 7A- toward SR-52 S/DELAWARE AVE. (0.1 miles). Stay straight to go onto W 11TH ST. (0.5 miles). Turn RIGHT onto N KING ST/US-13 BR S (<0.1 miles). Turn RIGHT onto E 10TH ST. (<0.1 miles). Turn LEFT onto N MARKET ST (<0.1 miles). End at 919 N MARKET ST.